How will history judge your life? Worthy or wasted. 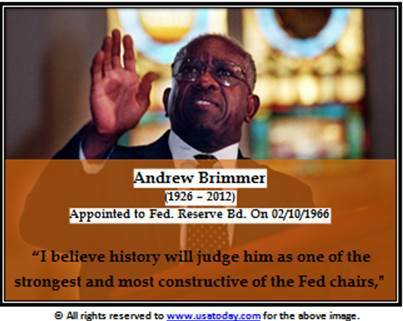 The ”Andrew Brimmer (1926 – 2012) First African American Appointed to Fed. Reserve Bd.” by EYHCS is licensed under a Creative Commons Attribution-NonCommercial-ShareAlike 4.0 International License.